Nearly a decade ago Tennis Australia dubbed the Australian Open ‘The Grand Slam of Asia-Pacific’; One of the speakers at the upcoming Ministry of Sports Marketing conference, Ben Slack, head of international business at Tennis Australia, outlines how the sporting body markets the game abroad and the decision to focus on China. Slack has spent the past five years building valuable commercial partnerships for Tennis Australia. By dividing his time between Melbourne, Hong Kong, and broader Asia, he is responsible for growing the Tennis Australia business offshore via events, content rights, brand sponsorships, strategic partnerships, licensing and inbound visitation. “Tennis Australia’s initial presence throughout Asia, and China in particular, was centred around reach of exposure – primarily via the broadcast of the Australian Open and special events such as Trophy Tours, specifically designed to generate PR and media value and capitalise on the increased interest in the sport on the back of the success of China’s home-grown Grand Slam champion Li Na. “From these initial exposure exercises we recognised that to have a stronger depth of connection with fans, as well as grow that fan base, we needed to have more of a year-round presence and calendar of activities. Over the past 12 months, Tennis Australia has invested in an office and team in China which will help in the long term growth of our business, leveraging the success of the Australian Open and presenting a more comprehensive and varied international strategy. “Key areas of concentration are developing new and existing brand partnerships, media and broadcast partnerships and growing tourism and visitation. Our plan is to package up a portfolio of products such as ticketing, hospitality and experiences and events along with activities designed specifically for the local market and supported by sophisticated online and social communication channels. “Over the journey we’ve observed a number of differences between the way businesses in China approach brand partnerships to the way we work with our partners in Australia. In our experience Chinese brands are often focused on the visibility of their brand, the assets available and the packaging of the partnership. In Australia we find our partners focus much more on the assets from an activation point of view. Slack will be focusing on the work Tennis Australia’s has achieved over the past 12 months at the upcoming Ministry of Sports Marketing conference to be held at Sydney’s iconic Randwick Racecourse on 19th July. The MSM conference features amazing international speakers like: Nike Golf global senior brand director, John Hess; leading US sports agent Kelli Masters and World Rugby head of broadcast, commercial and marketing Murry Barnett. 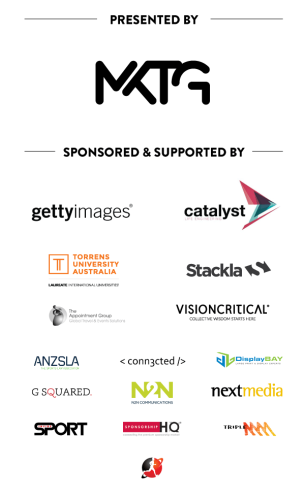 There is also fantastic local speakers like: Rebekah Horne, chief digital officer at the NRL; the new general manager of the NBL, Jeremy Loeliger; chief digital officer at Seven West Media, Clive Dickens and CEO of Bastion Collective Marketing ANZ, Jack Watts.